Are you thinking of a way you can invest your chama money? If you are, you maybe thinking of putting your money in a business such as a salon, matatu or schoolbus. However, there is one other way you can earn money. Through capital investment, you will be able to keep your money rolling without having you at risk for using it on unnecessary things. As a Chama, you need to learn to save money and find a way you can make your members’ hard-earned money grow into something bigger. Unfortunately, due to inexperience we can make uninformed investment decisions that only lead them to your chama losing money. This is why it is important that you get in touch with a financial advisor so you can get tips on how you can invest your money. Some local financial advisors include Ally Khan Satchu, Sunny Bindra. You can get their contacts on-line. As mentioned, capital investment is one of the key places where you can put your chama money. By definition, this is when you acquire a fixed asset which has been anticipated to last a long lifespan before requiring repair or replacement. Among the most famous types of these investments are buildings and land properties. For example today, you can buy a plot in Kitengela worth Kshs.500,000. In five years’ time that property’s value will have doubled and you can comfortably sell it at Kshs.1 million. Keep in mind that this is a fixed asset that is not easily accessible should you need money urgently. Of course, a capital investment does not have to be an asset that is along the lines of equipment or land. A capital investment can be something as simple as an amount of money that is set aside in some sort of interest bearing account. Since the resource is not being used to cover business expenses, capital assets of this type is free to be used for the purpose of generating additional revenue by accruing interest. Thus, it would be proper to consider an initial amount of money that is used to open a standard savings account as a capital asset with the fact that a rate of interest will be realized from the principal each year turning the asset into a capital investment. If you are not keen to invest money in fixed assets, you have another option. 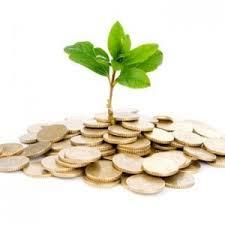 In fact, capital investment can be as simple as an important amount of money you have set aside. The important thing is that you set aside this money in a bank account that earns good interest for instance you can put your money in high yielding savings accounts such as the Premium Plus Account in Post Bank, High yield savings account from CFC Bank, High yield savings account from NIC Bank that continuously bears interest. If you have chosen to keep your money in a bank you earn interest and this is a liquid asset that is accessible to you should you need money urgently. The only draw back to this is that you must attain a high level of discipline to avoid spending the money in a frivolous manner. As such, this option provides capital assets which are free to be used with a goal of producing extra income through earning interest. This is why it is better you start with an initial amount of funding to open your savings account. You can use this for your capital investment. Once you are unsure about this, you can ask your financial advisor to give you his opinion. You can then figure out if this will be a good idea for you to invest in.